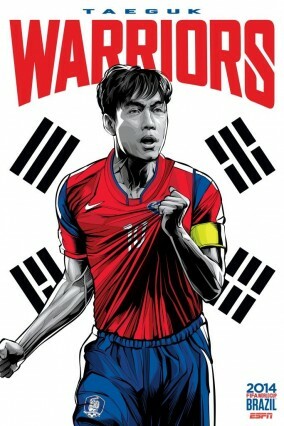 Posters for created for the 32 teams participating in the upcoming World Cup. Comissioned by ESPN, graphic artist Cristiano Siqueira made posters that are country specific, showing players and crests from each of the 32 nations involved. Check it! There is some really nice design in the gallery!